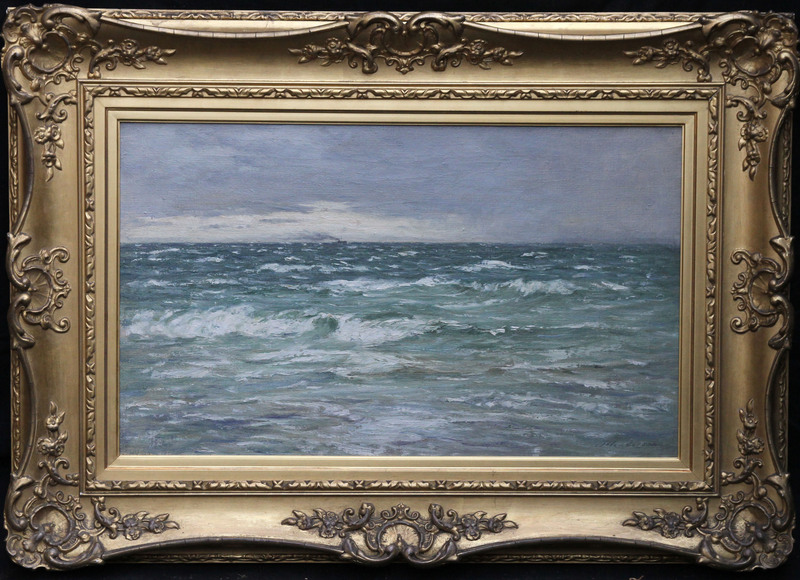 A fine, large Scottish seascape marine oil painting by Joseph Henderson RSA which is signed and dates to circa 1880. It depicts a stunning "Clearing After the Rain" seascape. 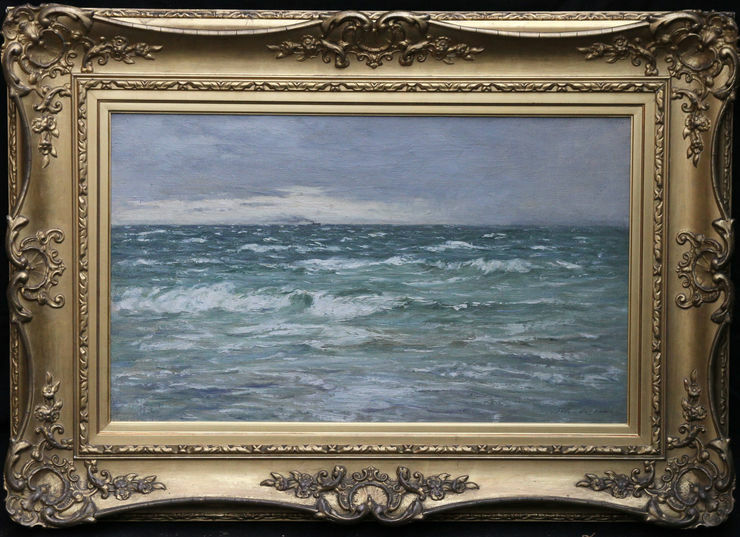 A beautiful Scottish Impressionist 19th century painting which has similarities to his friend William MacTaggart. A fine painting with a multi coloured palette, there are pinks and purples and a variety of blues. 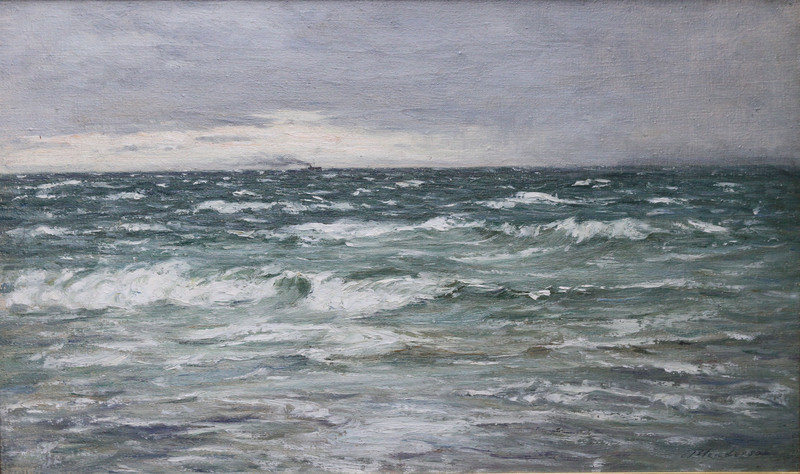 It is one of his best marine paintings. Signed right. Fine 19th century gilt frame, 40 inches by 30 inches. In excellent condition.